Whether you’re ready for some much-needed pampering or want to enjoy the good life with someone you love, settle in for a stay vacation at Château Élan Winery & Resort. 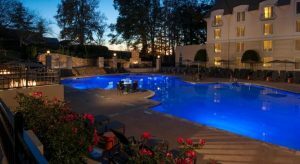 Nestled in the North Georgia foothills, about 40 minutes from Atlanta, this resort is a recreation of a classic French country estate. It’s the ultimate respite for indulging in gourmet food, enjoying a unique wine tasting experience, and relaxing in a tranquil setting. Château Élan Winery & Resort has become a premier conference and resort destination in North Atlanta. 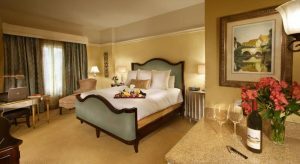 It features 275 deluxe guest rooms, including 22 spacious suites, one hospitality suite, a Presidential Suite, and a Governor’s Suite. All rooms are designed to evoke a French country estate and all are decorated with Mediterranean themes. Whether you’re planning a romantic retreat for two or a girl’s weekend getaway, the resort caters to all of your needs with spacious accommodations outfitted with luxury furnishings. All overnight guests can take advantage of several resort amenities, including a full-service spa, golf courses, several dining destinations, and access to the vineyards. The European-style spa is located inside a 35,000 square foot mansion that overlooks a sparkling lake and a dense forest. It’s the place to indulge, enjoy healthy fare at the lakeside dining room, or relax with afternoon tea in your robe and slippers. Amenities include nail care, body care, skin care, massage, and fitness and wellness activities. Guests can also use a happy hour menu for more abbreviated sessions or bring a partner to couples services. Guests have the option of staying in one of the luxurious spa suites where they can enjoy in-room spa services during their stay. 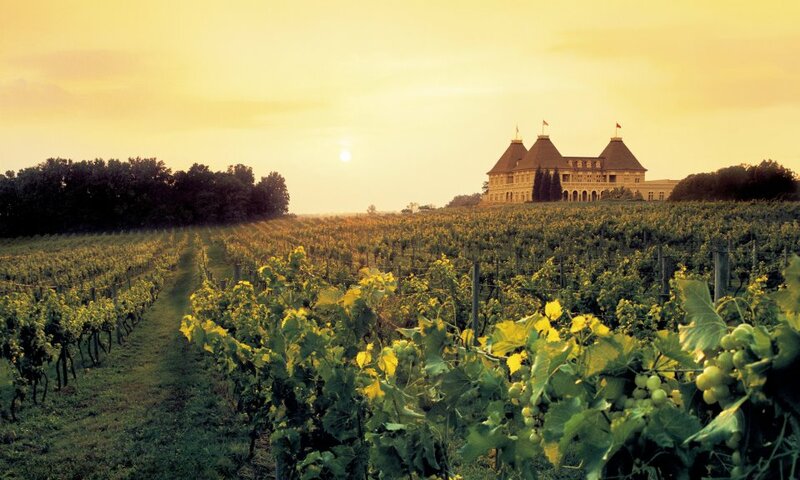 Château Élan Winery & Resort boasts a 63-hole championship golf course that challenges golfers of all abilities. Night golf is an option and a preferred players program is available for avid golfers who plan to return for the golf experience at the resort during other times of the year. Guests who are unfamiliar with golf need not worry. Lessons are offered hourly with golf professionals and those guests who really want to improve their game can attend the Dave Pelz Scor­ing Game Golf School, offering on, two, and three day classes using Pelz’s scientific approach to training. The resort boasts eight different dining options for guests who want to enjoy a variety of cuisines: regional southern, American, Mediterranean, French, and Irish. A pool bar and lounge are open for drinks and lights snacks. Some venues host live music on select nights. Opened in 1984, The Winery is where you will find two fine dining establishments: Le Clos restaurant, serving French fare in an elegant setting, and Cafe Élan, a more relaxed Mediterranean-style bistro. Enjoy entrees and desserts paired with wines straight from the Château Élan Vineyards. 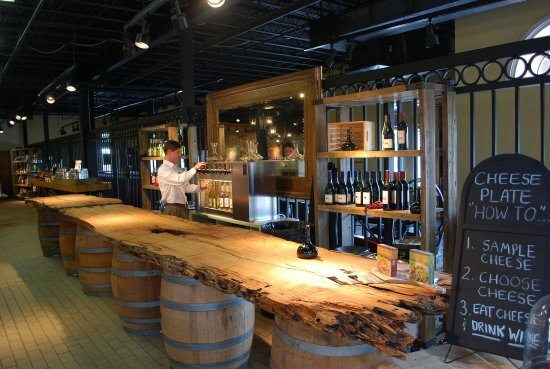 You could also spend an afternoon attending a wine tasting at the Wine Market onsite. Schedule a private winery tour with the wine steward so you can learn about the lineup of award winning wines and enjoy a special tasting experience. Other tour options include a complete wine and cheese tasting and a winemaker’s tour for an in-depth tour of the facility and private tasting. If you want to flex your culinary skills and learn something new, sign up for a weekend cooking class or cooking demonstration at The Viking® Culinary Studio. This 1,600-foot teaching kitchen is furnished with Viking Range appliances and the classes are taught by Château Élan’s international team of chefs. If you’re looking for the ultimate spa retreat, winery experience, or golf getaway, consider an extended stay at the Château Élan Winery & Resort. This destination resort caters to the discerning traveler with exclusive experiences, an intimate atmosphere, and luxury accommodations for an unforgettable retreat.